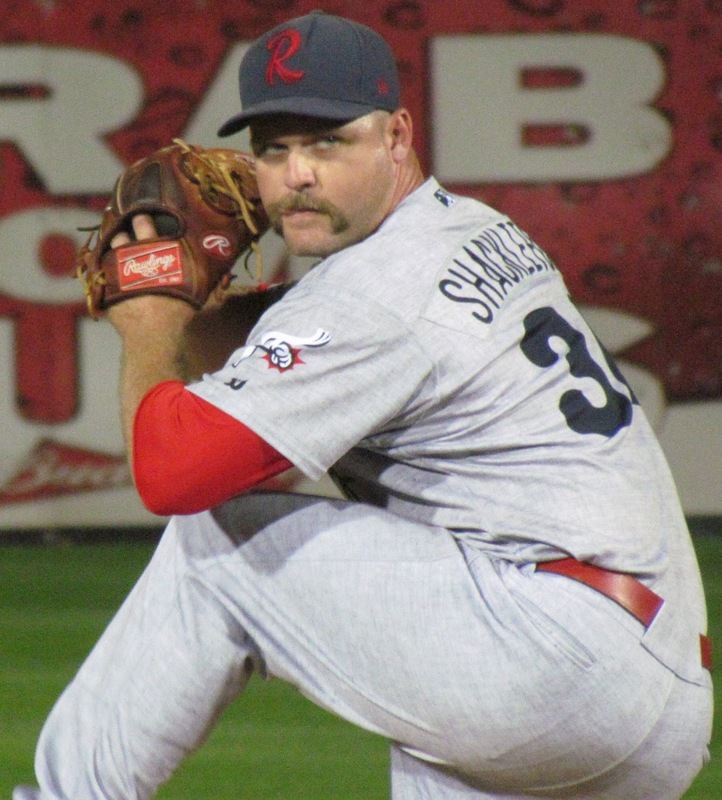 Righty reliever Stephen Shackleford set the single season saves record for the Double-A Reading Fightins this past season, when he notched 30 in 53 Eastern League appearances. Following the 2015 campaign, the man known as “Shack” became a free agent and news of his signing with the Nationals was announced on Friday. I would like to thank the Phillies and the Fightin Phils for everything they did for me this past year. I had an amazing experience in Baseballtown and it will always hold a special place in my heart. I’m looking forward to the next step in my baseball journey and excited to be a part of the Nationals organization. Last week I spoke with Shackleford about his off-season routine, playing abroad this autumn following Reading’s post-season run along with what other big life news might be happening with him. Read ahead for that full interview. This is my first time playing internationally and it was awesome. The baseball was awesome over there. There was 10-to-20 thousand people in the stands every night, chanting, screaming. Everybody was in the game every pitch. Everybody knew was was going on. Every time there was two strikes on a batter, they’d be chanting. There was a lot going on, but it was fun. When I originally signed I said that I wanted a fly-out date on the 22nd, because I didn’t want- I wanted a set date to come home…so I could get home and get rested and start working toward next season. Everybody has days that they’re supposed to fly in or fly out. There’s also other instances, which is like the ugly side of baseball, where some guys haven’t done so hot and they release them and bring another guy in too. -With the off-season league and you talked about getting ready for next season already, I don’t imagine there’s a lot of down time for you, but do you take time completely off? Also what is your routine like and how to you prepare for what is next? Most of the time for myself, if I don’t go to winter ball, I only spend a couple of weeks not touching a baseball. Then I start doing some movement work and I start going through the motions, not throwing a ball, just going through the motions, making sure my arm’s still going. Then I start up when there’s two-and-a-half, three months until I would get to spring training, I start up my velocity program. It’s a weighted program with heavy balls, lighter balls. I’ve been doing that for six years. After winter ball, I took a week off and then I started some movement, keeping my arm going, then slowly started building up. Then, I’ll start throwing 100-percent next week. I work at Legends Sports Academy. It’s in Louisville, Kentucky. There’s a couple other pro guys that are here. It’s a nice facility, it’s pretty big. But with the throwing program, you don’t need a partner when you’re doing it. If you want to play catch afterward, there’s a couple guys that are doing that with me that you can throw to once or twice a week. I’m helping to run one of the velocity classes, teaching kids how to do it. There’s a group of about 40 to 50 guys on Tuesday, Thursday, Saturday and around 30 guys on Monday, Wednesday, Friday. And then I’m also doing some lessons on the side. -What is the age range of the pitchers you’re working with? Around, anywhere from 10 years old till 18. And then there’s some college guys that come in. One of the college guys actually works out with us here now. -Just from knowing you, I’d think that having that ability to help young players would be something that would be rewarding to you. Is that a way you would describe how you feel about it? Oh, definitely. I like working with the younger kids. I like helping them out. I like trying to be- when I was a kid, I went to a facility and worked out with the pro guys when I was growing up and I feel like that made a huge impact on my life and I’m just trying to give back to them and that’s what we all do here. -Aside from baseball related activities, is there anything you’re doing the off-season to keep busy? Me and my lady are getting married in January. It’s just going to be a very small wedding and it’s just basically me, her and our parents. And then also I got approved for a home loan, so I might be looking to buy a house here soon. So, that’s pretty exciting.